The wait is over&hellip;again. Do you wish your life had just a little more luster? Your prints just a little more pop? Well, you asked. We listened. 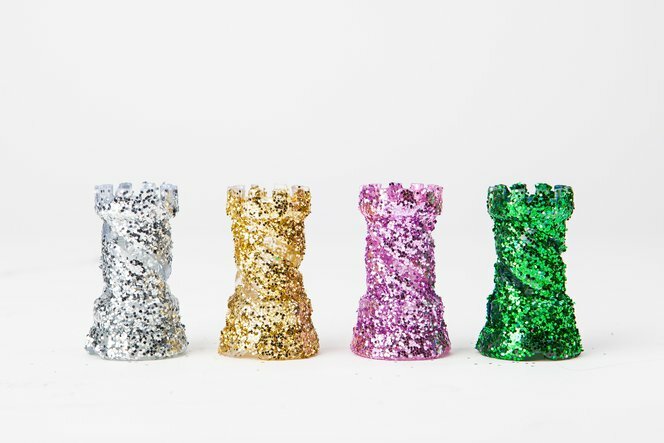 Introducing our glitziest, most fashion-functional resin to date: Glitter Resin. Transform your prints from gloomy to glam instantly with a kick of intense shimmer and chromatic contrast. Bring new life to your Form 1+ models with an immense color payoff as well as extra shine and sparkle. &ldquo;A lot of hard work and development went into glitter resin. It’s a fine balance between printability and glam, and I think we nailed it. We can’t wait to see what our users do with it,&rdquo; says Formlabs' material scientist Lindsay Hunting. Glitter Resin will add shimmer and glittering shine to your faux finish. Or, mix it with Clear Resin for sparkling glints of light. Made something fab? Share it in our forums.